"I joined the Air Force. I took to it immediately when I arrived there. I did three years, eight months, and ten days in all, but it took me a year and a half to get disabused of my romantic notions about it." Now famed for a sonorous voice and genteel manner, Morgan Freeman took a winding road to his current fame. Born on June 1, 1937, he grew up in a segregated community in Mississippi but frequently moved around. Growing up, Freeman acted in a number of school plays and competitions, often taking leading roles and winning awards. Despite his talent, passion, and success in drama, he put his acting ambitions aside after completing high school. Freeman was always entranced by war films, particularly pieces about fighter pilots. In love with the idea of flying, he joined the U.S. Air Force in 1955 but was relegated to being a radar technician. His interest in flight was so strong that he turned down a scholarship for drama from Jackson State University to enlist. Despite his initial occupation not living up to his dream, he held on to his romantic visions for over a year. Eventually, Freeman got the chance to train as a fighter pilot. Despite years of anticipation for that very job, as soon as he sat in the cockpit he had a "distinct feeling [he] was sitting in the nose of a bomb." "I had this very clear epiphany," he told AARP Magazine. "You are not in love with this; you are in love with the idea of this." Freeman didn’t hesitate to act on his gut instinct, and left the Air Force in 1959. After moving to Los Angeles, Freeman struggled to get by day to day while pursuing a career in acting. He took acting lessons at the Pasadena Playhouse, and learned to dance in San Francisco. It took Freeman roughly twenty years of acting in stage productions to gain notoriety in film and television. His first strides towards national fame were made in the soap opera "Another World" and the long-running children's program "The Electric Company." 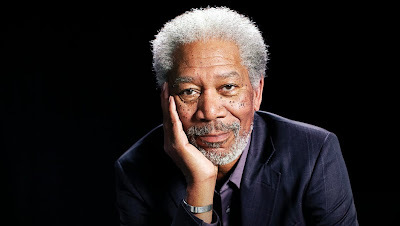 Freeman went on to act in prominent supporting roles, and later as a star in such movies as "the Shawshank Redemption," "Seven," and "Invictus." With no signs of his career slowing down, he has also produced over a dozen films.